James Lannier Bright, 55 of Atlanta, died Saturday, Oct 15 (1994), in Dekalb County Medical Hospital. The first black teacher at Easton High School, he was choral director and music teacher for 16 years. He was a 1956 graduate of the school. He later taught at Morris College in Sumter, S.C.; Miles College in Birmingham, Ala., and Bowie State University in Bowie, Md. He returned to scholastic teaching at Berkeley County School District in South Carolina for 13 years and then Dekalb County School District in Georgia, where he was the music teacher and choral director at Chapel Hill Junior High School. Born March 19, 1939, in Harlem, N.Y., he was the son of Thomas and Marion Bright of Easton. He recieved a bachelor's degree from Allen University in 1960, a master's degree from Columbia University in New York in 1963, and studied in many other graduate programs. He served as organist and choir director for many churches, including Union African Methodist Episcopal Church and Trinity Episcopal Church both in Easton; Morris Brown African Methodist Episcopal Church in Charleston, S.C., a Methodist church in Belvidere, and was actively serving at Bethel United Methodist Church in Atlanta as minister of music. He was a member of American Guild of Organists, American Choral Directors Association, Phi Mu Alpha Music Society, Prince Hall Grand Lodge in Pennsylvania and National Association for the Advancement of Colored People. He was a member of Alpha Phi Alpha fraternity. 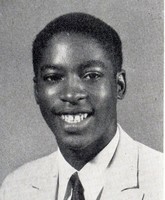 He and his wife, the former Bobra Caroll Collins, were married for 33 years. In addition to his parents and wife, he is survived by a son, George Lattimore of Easton; a daughter, Gina Marie Bright Kirk of Willimgton, Del. ; a brother, Waltar L. of Minneapolis, Minn.; two sisters, Samantha Bright Burney of Sunnyvale, Calif., and Saundra Bright Lockhart of Easton; two grandchildren and many uncles, aunts, nephews and nieces. A brother, Thomas L. died earlier. Services will be held at 6 tonight in Bethel United Methodist Church in Atlanta, and 2 p.m. Sunday in Trinity Episcopal Church, 234 Spring Garden St., Easton. Alpha Phi Alpha fraternity will hold Omega Chapter services at 5 p.m. Call 1 p.m. Sunday to time of services in the church. The Thornton Mortuary in Atlanta is in charge of arraingments.